The Best Brownie in a Mug Recipe- Ever! Ah, Valentine’s Day. I love the month of February because, even though the weather is less-than-stellar throughout most of America, there seems to be a small glimmer of spring ready to pop through. Maybe it’s the bright reds and pinks that riddle the stores way too damn early every year. Or maybe it’s that I’m a RomCom loving sap that is in love with love. Whatever it is, Valentine’s Day is a fave of mine. But, I really do feel like the Valentine’s Day gifts available in the big box store are tired AF. I mean, getting a variety pack of chocolates purchased either at Target, or my local 7-11 doesn’t really get me hot and bothered, if you know what I mean? 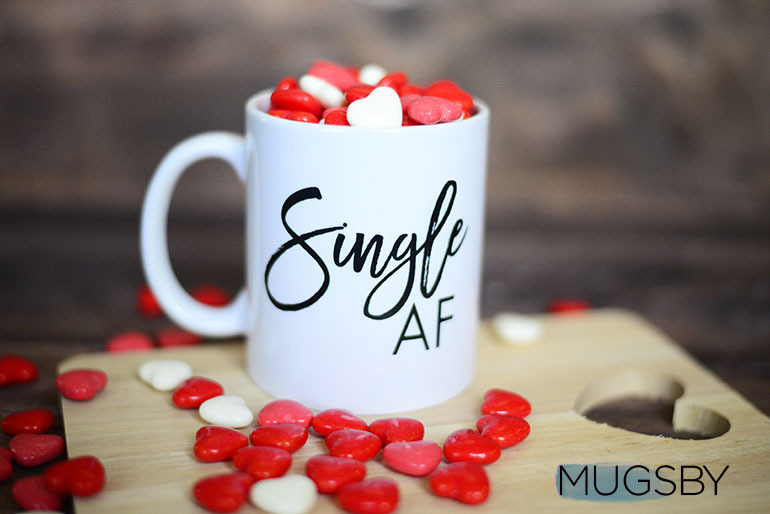 Buckle down and keep reading for my favorite 4 Valentine’s Day mugs for everyone from Mugsby. If you’re married this Valentine’s Day, this one is the perfect gift for your favorite husband. It’s G-Rated, so he won’t feel weird taking it in to work with him, and you may even earn some cool points from his colleagues because you’ve got the jokes. 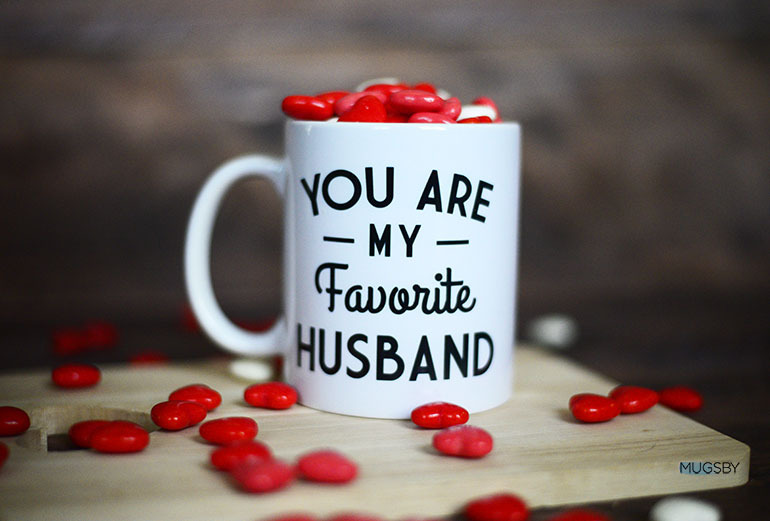 Fill it up with his favorite candy, and maybe a date night gift card for a night on the town. Okay, so he may not be totally cool with sipping his morning joe in the break room with this bad boy, but I still love the sentiment, and like to think of this mug as the weekend mug. Spice up the gift by filling it with some risque bedroom-only items, and a homemade coupon for a lingerie-only massage. 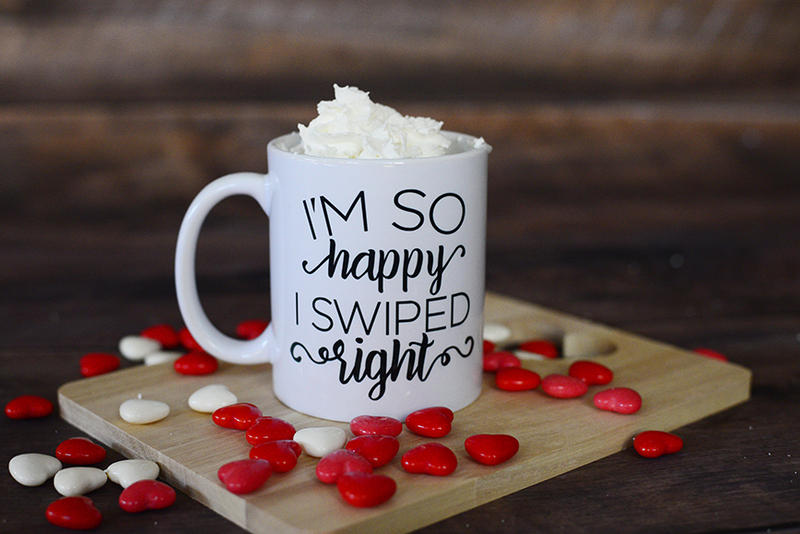 So maybe you aren’t totally ready to drop the L-word bomb, but this funny mug will still acknowledge your affection on Valentine’s Day, without being overly sappy. I love the idea of greeting them in the morning with a fancy, homemade latte (we won’t tell if you cheat and swing by Starbucks and dump it into this mug, if you don’t) with some whipped topping on it. It’s effortless, but still has a fun meaning. I mean, aren’t you seriously glad they didn’t get the left-swipe? We all have one of these people in our lives. If she’s single AF and rocking it, show her she’s loved and gift her this. Stuff it with a girl’s night out coupon, or even some tiny liquor bottles, if she’s a good sport. 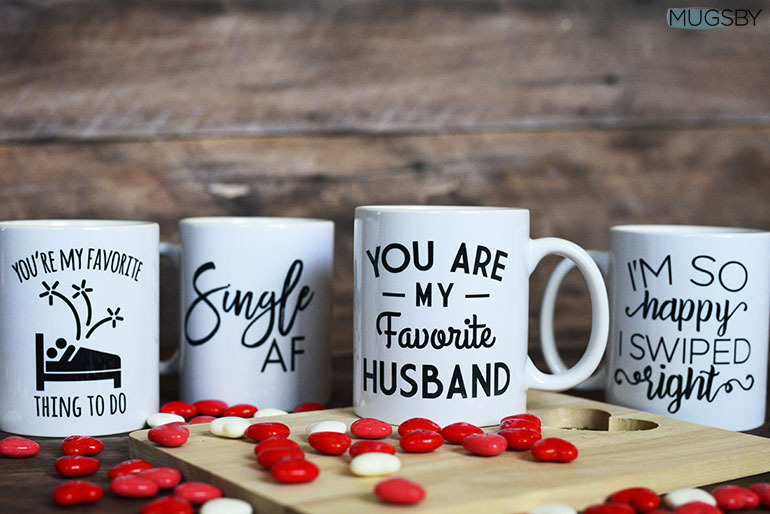 Or hell, if you’re single, buy one for yourself! Who runs this world?! Do you love these ideas? 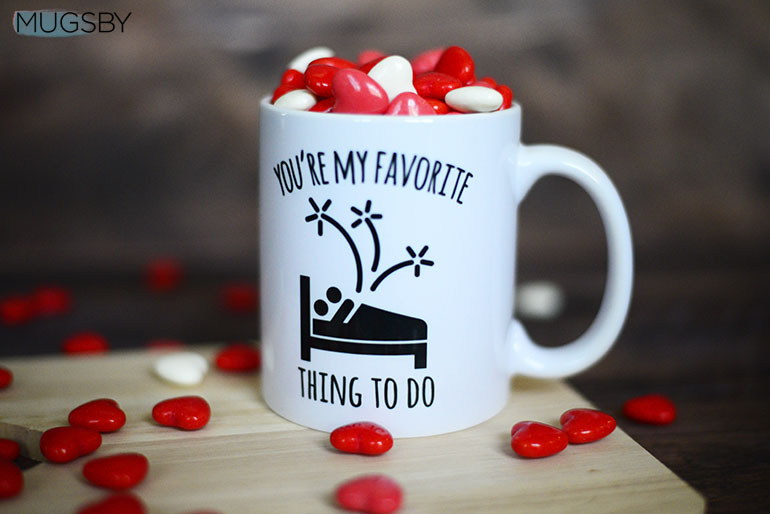 Leave a comment and tell me what you’d fill up your favorite mug with.